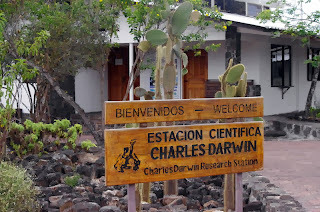 We arrived by panga into the port of Puerto Ayora, and a 5 minutes drive with bus brought us to Charles Darwin Research Station and the headquarters of the Galápagos National Park Service A visit here is a must for all visitors to the islands. 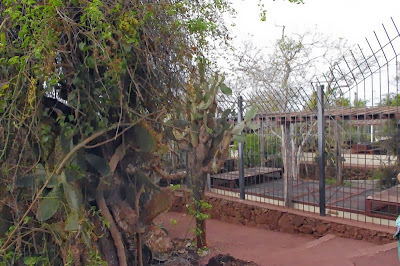 We visited the Tortoise Breeding Center where they breed the endangered turtle species. On some of the islands are introduced rats that eat the eggs - therefore collected the eggs to raise their pups in a protected environment and are kept when they are 3 years old re prepared to be reintroduced to their natural habitat. The authorities are working hard to eradicate the rats, but it is difficult job. Charles Darwin Research Station Darwin Station is a working exhibition driven by the international , non-profit organization Charles Darwin Foundation.The station was established in 1959 and works closely with the Galapagos National Park to protect the flora and fauna of the Galapagos Islands and the Galapagos Marine Reserve to protect animals and plants in the sea. 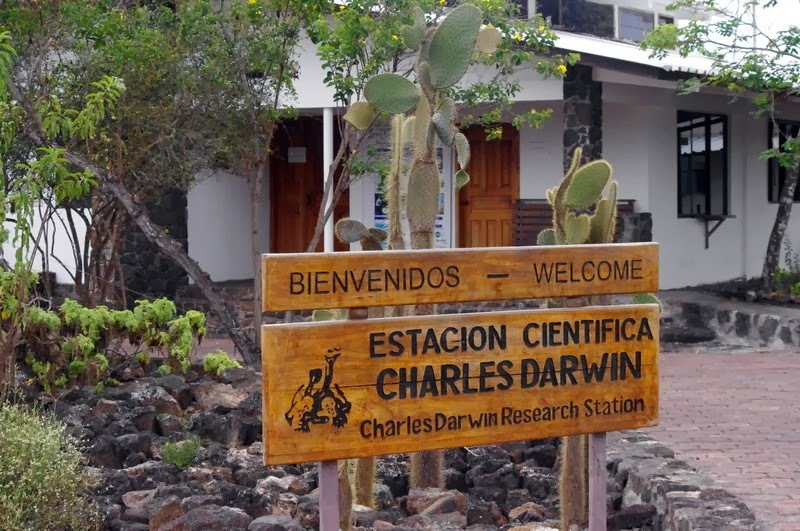 Darwin Station 's primary work is to carry out research and help others to undertake studies in the Galapagos National Park and Galapagos Marine Reserve . All results from this research will be given toGalapagos National Park Service and Ecuador sregering , to provide a better understanding of how to protect and preserve this precious natural .The research results will also be published in scientific journals , reports, and is available for visitors. Darwin Station also educate the local authorities and schools in miljøubevarelse . 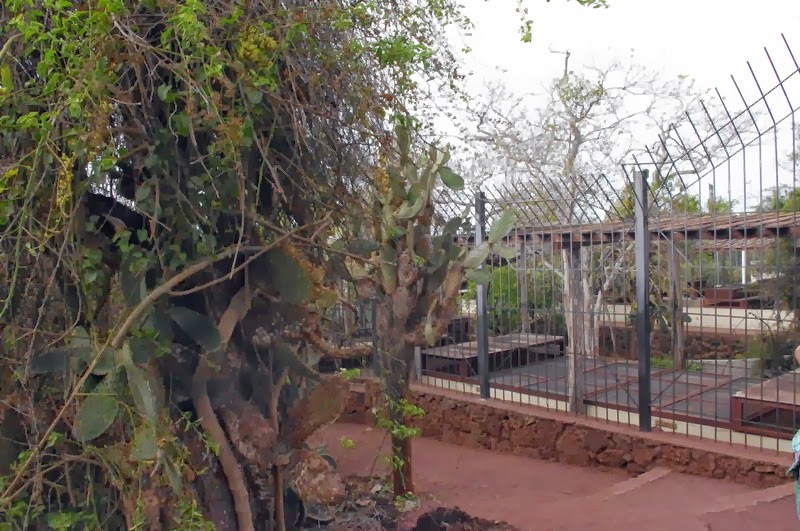 In addition, the Darwin Station training of all Galapagos guides showing tourists around the islandsDarwin Station is open to all visitors to the Galapagos.